"Even when life has moved on, the past doesn't always stay in the past." 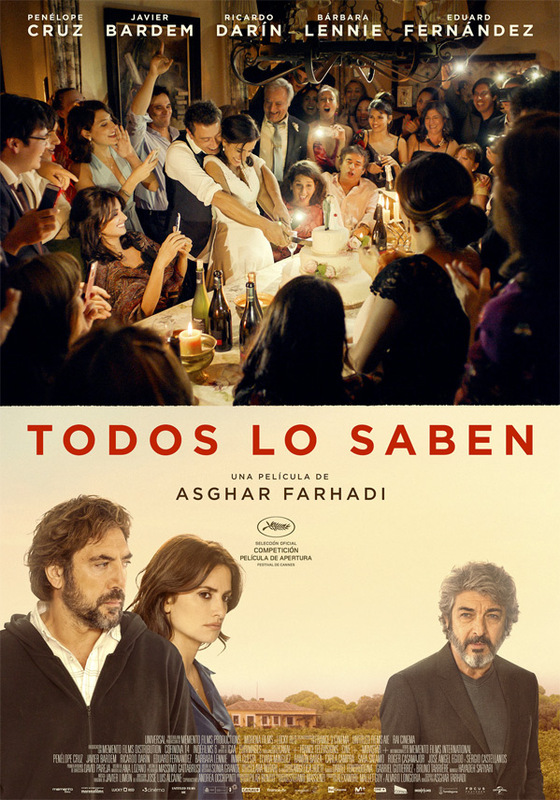 Focus has debuted an official US trailer for the upcoming release of Asghar Farhadi's film Everybody Knows or Todos lo Saben originally in Spanish, which premiered at the Cannes Film Festival earlier this year. The film has played at a bunch of film festivals all over the world, and will finally open in US cinemas next February. Everybody Knows is about a Spanish woman who returns to her hometown outside Madrid with her Argentinian husband and children. However, the trip and wedding ceremony is upset by unexpected events that bring secrets into the open. Real-life lovers Penélope Cruz and Javier Bardem star, with a cast that includes Ricardo Darin, Carla Campra, Inma Cuesta, and Barbara Lennie. The reviews for this have been mixed - it's not one of Farhadi's best films, the story is stretched a bit too thin. But if this trailer intrigues you, it's worth seeing. You can still watch the original international trailer for Farhadi's Everybody Knows here, for more footage. 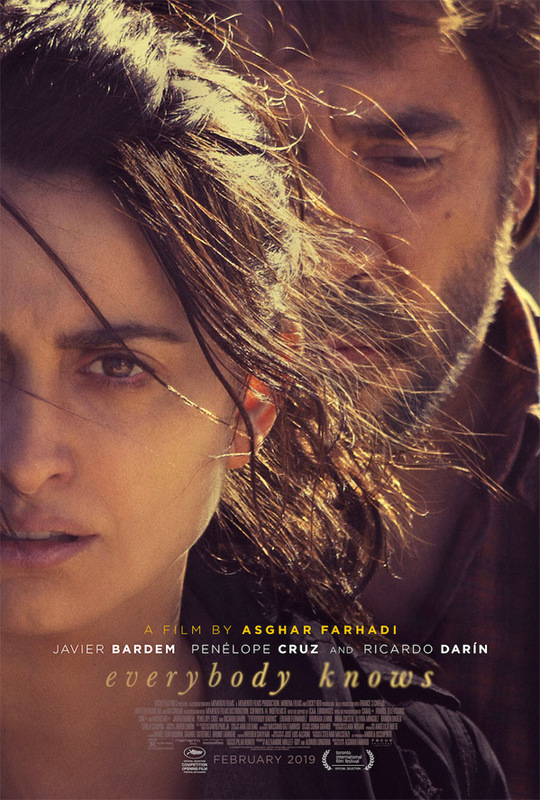 Iranian filmmaker Asghar Farhadi's eighth feature film, shot entirely in Spanish on the Iberian Peninsula, charts the story of Laura, who lives with her husband and children in Buenos Aires. When they return together to her native village in Spain for a family celebration, an unexpected event changes the course of their lives. The family, its ties and the moral choices imposed on them lie, as in every one of Farhadi's scripts, at the heart of the plot. Everybody Knows is written and directed by acclaimed Iranian filmmaker Asghar Farhadi, director of the films Dancing in the Dust, Beautiful City, Fireworks Wednesday, About Elly, A Separation, The Past, and The Salesman previously. This premiered as the opening night film at the Cannes Film Festival earlier this year, and it also went on to play at the Toronto, Vancouver, Chicago, San Diego, Busan, Melbourne, Munich, and Austin Film Festivals. Focus Features will finally release Farhadi's Everybody Knows in select US theaters starting on February 9th, 2019 early next year. Who's interested?